For our first month back to class, we traveled way back to the beginnings of modern dance. Our students learned about Isadora Duncan, one of the first pioneers of modern dance. Isadora began studying ballet as a child, but found the technique too restricting for her individuality. This did not stop her from dancing however, she performed for society ladies and also held brief employment in Augustin Daly’s productions in New York City. 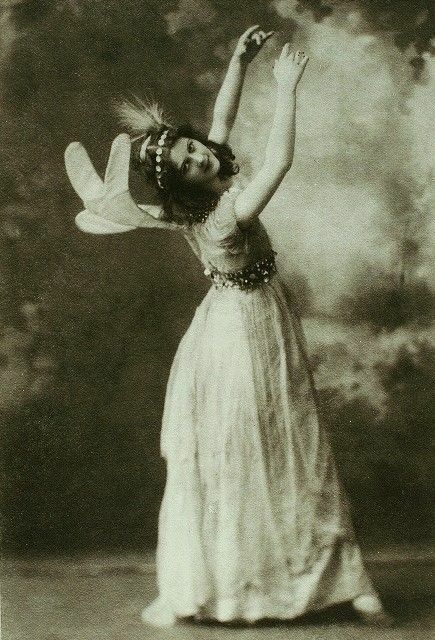 Isadora had much better luck when she moved to Europe, as the Europeans were much more receptive to her dance style which was considered controversial for the times. She became popular in France, Greece and Russia, and began to build herself as an international star. Duncan’s effects on the dance world were truly profound. She grew up in a world of prima ballerinas, but she danced barefoot in traditional, flowing Greek robes. Her dances were inspired by literature and philosophy, portrayed feelings and emotions that she most personally experienced. If you watch her choreography, it seems childlike and simplistic, including variations of skipping and frolicking movements. While it looks improvised, each movement was planned, practiced and perfected. Most of all, Isadora established modern dance as an art form, which we can all be very thankful for today. That being said, Atlanta Dance Central is participating in Boo Ya’ll Scarecrow Contest on Canton Street in historic Roswell. 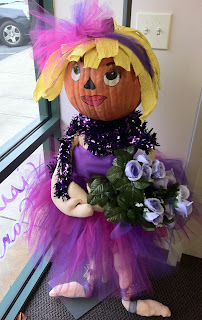 We are presenting Madame Isadora Pumpkin, notice the similarities? Previous Post: « Student of the Week: Gaby Reblando!